Who can ID these AVID woofers? These have 8 1/2" cones. They have the AVID serial number stickers on the back. They measure 6ohms and the cones have #138 102 stamped on the back, removing them from the CTS category. The magnets are located INSIDE the baskets...Very thick pieces of MDF are used for cone spacing and they are quite heavy... Thoughts? Well better late than never i guess. 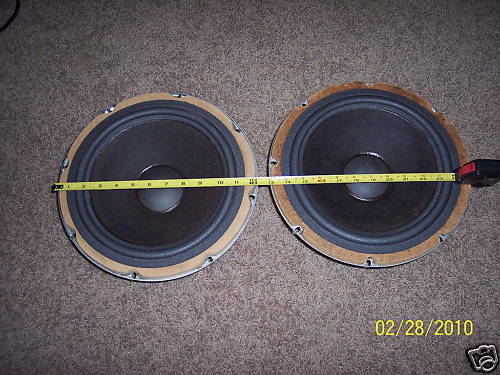 They are woofers used in the Avid model 330 speakers. Were these manufactured by AR? I've seen what appears to be identical 10" woofers in Avid 230's and AR 38/48s. Well better late than never again! I have heard that. But have never see a posting anywhere to confirm it. So I don't know.